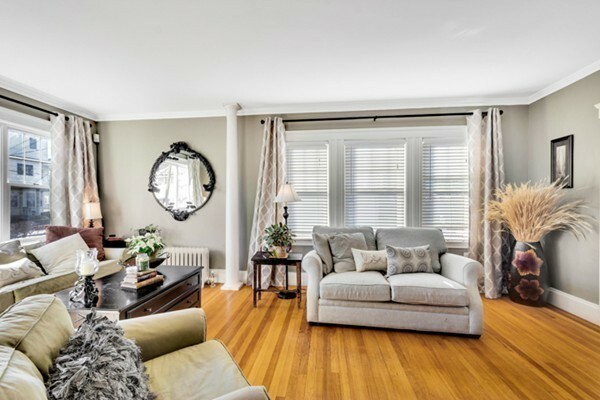 Beautiful 2 bed / 1 bath condo with plenty of natural light conveniently located in Medford. Large eat in kitchen with granite counter tops, stainless steel appliances. Recently updated water heater and furnace, new dishwasher and refrigerator in the kitchen. Hardwood floors throughout, basement has Washer/Dryer, bonus office room, and storage area. Right to use back yard space and drive way. This home is located near restaurants, shopping, Assembly Row, 10 minutes to Boston, and easy access to public transportation.